I want to bring a scientific challenge to a DWI case of mine, how do I do it? This is a question we have received a lot lately from other defense attorneys. Unfortunately, the only answer to that question is to learn the material. We have posted numerous times explaining the games the BCA will play on the stand and how the State will attempt to hide the uncertainty of measurement and bias. 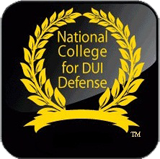 The good news is that the National College For DUI Defense is putting on an entire seminar on the subject with some of the leading authorities scheduled to speak. In fact, one of the presenters has actually been used by our firm in Minnesota DWI cases. And, of course, I can't forget to mention that Chuck Ramsay will also be presenting. OH GOOD FOR YOU! The title of the seminar is "Metrology 3.0: Science As Your Best Defense." It will be held on November 4-5 in beautiful San Diego! The complete agenda and link to register can be found here.